Mr. Yagnesh Vellore is a highly qualified Melbourne Neurosurgeon and Spine Surgeon. He graduated from the prestigious University of Melbourne Medical School in 2001 and went on to complete training as a Neurosurgeon at eminent Melbourne Hospitals, through the Royal Australasian College of Surgeons. Subsequent sub-specialty training in Advanced Spine Surgery options were gained through world renowned centers in the United States of America. 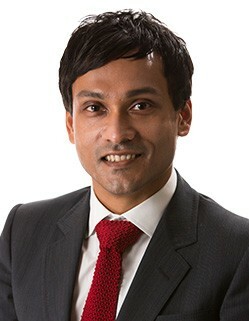 Mr. Vellore is one of Melbourne’s leading Spine Surgeons and one of the pioneers of Robotic Spine Surgery in Australia. He was the first surgeon to perform ROBOTIC spine surgery at the prestigious Epworth Private Hospital in Melbourne. He performs Minimally Invasive (keyhole) spine surgery for all conditions relating to the cervical, thoracic and lumbar spine. With these techniques, Mr. Vellore is able to provide safe and effective surgical options for his patients, with minimal blood loss, enhanced recovery with shorter hospital stays and early return to full functionality. Mr. Vellore is a specialist in artificial disc replacement for both cervical and lumbar spine. These procedures are particularly useful in young patients who wish to avoid spinal fusion. Mr. Vellore is one of the first surgeons in Australia to adopt and disc-sparing technology in performing microdiscectomy surgery. He is currently involved in a clinical trial at The Epworth Hospital. This technology reduces the risk of disc re-herniation and re-operation. Currently he is one of the very few surgeons in Australia to provide this surgical option to patients. Some examples of conditions that may be treated with these advanced contemporary techniques include disc prolapse, sciatica, cervical radiculopathy and myelopathy, neck & back pain, spondylitis, spondylolisthesis (slipped vertebrae), pars defect, fractures, spinal tumours and spinal cord compression. Mr. Vellore also performs all aspects of Neurosurgery including surgery for brain tumours and peripheral nerve surgery. Again, these are performed with minimally invasive techniques, where feasible, ensuring early recovery. Mr. Vellore is involved in designing new and improved spinal prostheses, which will benefit patients and surgeons worldwide. He is a proctor for certain complex spinal procedures and supervises and teaches other surgeons, wishing to learn these procedures worldwide. Mr. Vellore frequently travels to The United States of America and Europe to collaborate with fellow international surgeons and develop new technology and techniques in Spine Surgery. He also participates regularly in Major Worldwide Spinal Surgery meetings to advance the body of knowledge available to other practitioners. 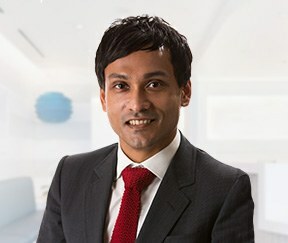 He currently offers a fellowship in ROBOTIC spine surgery, in Melbourne, which will provide the opportunity for Neurosurgeons and Spine Surgeons worldwide to train under him, in these advanced surgical techniques. Mr. Vellore holds two public hospital appointments in Melbourne, at The Austin and Northern Hospitals. He operates in the private sector at Epworth Richmond, Valley Private Dandenong, Knox Private Wantirna and Cabrini Malvern. He regularly consults in Frankston, Cranbourne, Mornington, Dandenong, Wantirna, Bundoora, Epping, Boxhill and Footscray, in addition to the main Richmond rooms for the convenience of patients. He also provides services to the population of Bendigo, where he runs a private clinic regularly. Teaching is one of Mr. Vellore’s passions. He is a lecturer for The University of Melbourne Medical Students at The Northern and Epworth. He also teaches Neurosurgical trainees, junior medical staff and allied staff.